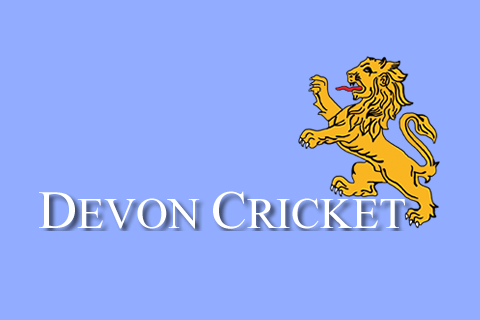 DEVON U15s put disruptions and diversions to one side to crush Somerset by 105 runs. Devon were without in-form batter Ben Beaumont, injured on club duty the previous day, which meant a first call-up for Abbotskerswell opener Ed Smout-Cooper. The late arrival of one player, and the unusual sight of a large white marquee behind the bowlers arm, caused further consternation, especially as these matches are played with a white ball. Skipper Joe Du’Gay, a Blundell’s pupil, was adamant that batting first was the way forward. He won the toss and Smout-Cooper and Taylor Ingham-Hill were sent out with the brief to bat to drinks. They exceeded their brief. Having put on 87 the partnership was broken when Smout-Cooper was smartly stumped, down the leg side by the Somerset skipper and keeper, for a patient 24. Manager and Coach were pleased to put a tick in the box, and commented that 100-3 would be disappointing after such a start. 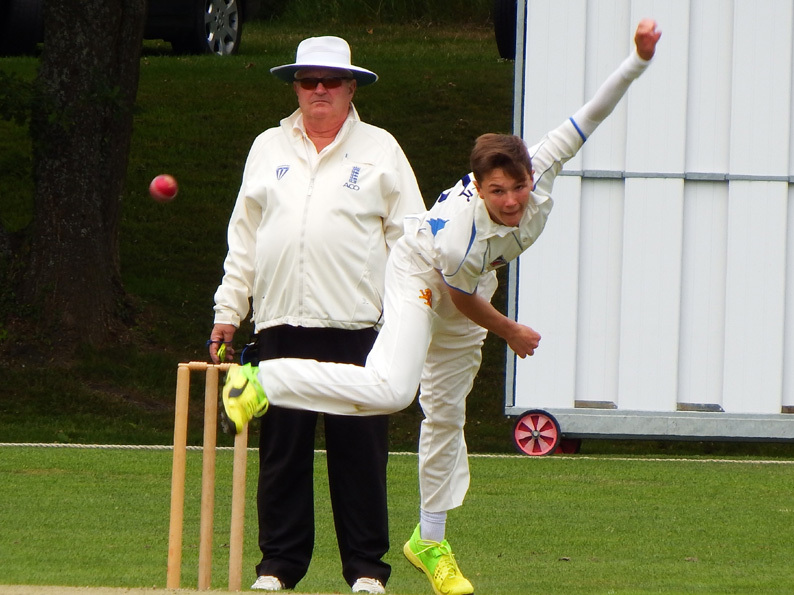 It turned out to be 95-3, as Jack Ford, dropping one place in the order, was caught off the bowling of ex East Devon District player Ali Layard. This was quickly followed by a needless run out, which saw Ingham-Hill, having just completed his second 50 of the season, back in the pavilion. With 27 overs gone, thoughts of a total approaching 300 were quickly put to the back of the mind, and 230 seemed possible. Du’Gay and Elliot Hamilton set about rebuilding the innings, with a well crafted partnership of 81 in 16 overs. Just as the accelerator button was pushed Hamilton was caught for 52. The final seven overs produced 62 runs as Reynolds, Tyson, Hurst and Farley batted around the skipper, who made a gritty, and well deserved 57 not out, despite a stiff back. The final total was augmented by six penalty runs as the visitors took more than their allotted time to bowl their overs. A lesson for both sides that wides, and the extra time it then takes to bowl our overs, can come back to bite you. At tea the discussion was whether 241 was better than a par score on this wicket, with one short boundary. The plan was to go hard early and put Somerset under pressure, get them behind the run rate and squeeze with our spinners. An aggressive, and impressive spell up the hill from Sonny Baker, and Charlie Ward down the hill, ripped through the top order. At 29-5, with three wickets for Baker and two for Ward, the contest looked one sided. Du’Gay continued with an all-pace attack. Reynolds quickly reduced the Cidermen to 31-6 and an early finish looked on the cards. 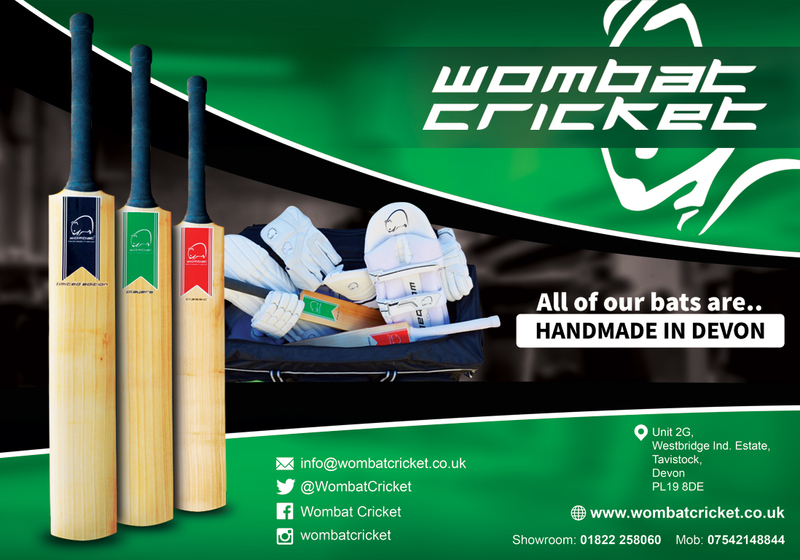 Will Scott-Munden, another Devon lad now playing his county cricket in Somerset, dug in with an able accomplice in Jacob Hockey. Two drinks breaks were to pass before another wicket fell. Pace became less effective, and the spinners could not force a break through. After 34 overs Somerset had fought their way to 110-7. Suddenly, with two batters set, 131 to win from 16 overs did not seem beyond the realms of possibility. Josh Farley, taking advantage of an unexpected seventh ball in the over, persuaded Hockey to present stand in skipper Ingham-Hill with a simple catch. Du’Gay had by now been forced from the field by his bad back. Baker was brought back in to the attack and quickly finished the innings, ending with figures of 4-30 from nine overs, supported by Hamilton, whose left-arm spin picked up the stragglers, to cap a fine all-round game. Nigel Ashplant, the Devon team manager, said: “Beating Somerset by 105 runs is a fine result. “The players dealt with the pre-match disruptions superbly, and put together an innings with most of the batters contributing. “The first session in the field was as good as I have seen from this team, both as a bowling unit, and supporting in the field.